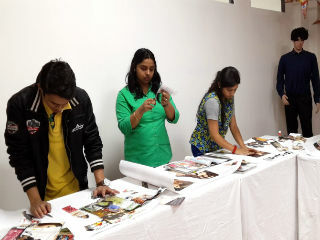 A mood board activity was conducted for PGDM- RM batch. Mood boards( also called as Inspiration Boards) in essence, are a compilation of inspirational elements used by designers to flesh out ideas at the beginning of a design project. Students were given different keywords to depict their interpretation of the word using pictures from magazines. 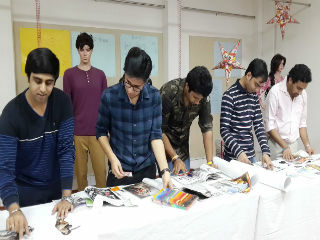 The objective of the activity was to develop creative ideation, develop understanding for selection of correct images to depict the mood and application of the design principles covered in Visual Merchandising module. The words given were simple and from day to day life like fashion, future, success, marriage, life etc. 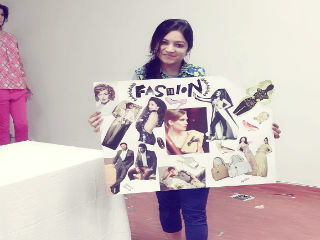 The activity was conducted by Ms. Surbhi Jain, Visual Merchandising faculty of PGDM-RM programme. 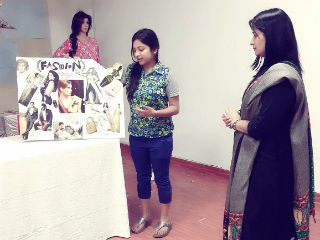 Students presented their thoughts, ideas and criterion for selection of images. Students learned a very important concept ie. 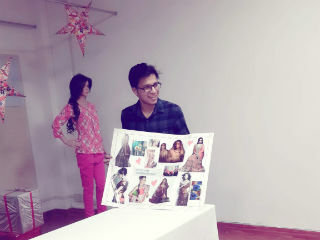 "A picture is worth a thousand words, and mood boards are a great tool to create that picture for a client"